During this first hour of new-client appointments, we will go over history review of records and tests. The initial consult by phone can be from 45 minutes to 1.5 hours depending on how many records we need to go over. I review the records you send to me ahead of time on my time. However if you do not provide them in advance, I will include their review in the initial consultation time. This first session is $200. All additional time in prorated by 15 minutes. Time is prorated at $200/hour. Please review to the appropriate forms under the “Forms” page. Please cancel with 24 hours notice to avoid a $50 cancellation fee. 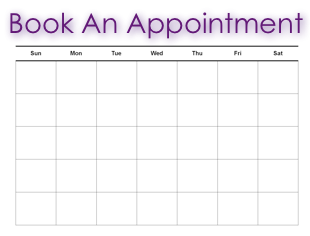 This appointment follows the phone appointment. We will run all necessary tests and gather initial physiological information during this time. During this session, urine and saliva samples may be obtained. Appointment runs for 1-2 hours. Part B appointments are $200/hour. The session can run up to 2.5 hours, with half hours being prorated (i.e. $100). Meetings with Donna after your initial 2 hour initial-appointments. Clients usually require 2-3 appointments before transitioning to ourcoalition.org maintenance. Each appointment is $200. As with all appointments, Please cancel with 24 hours notice to avoid a $50 cancellation fee.